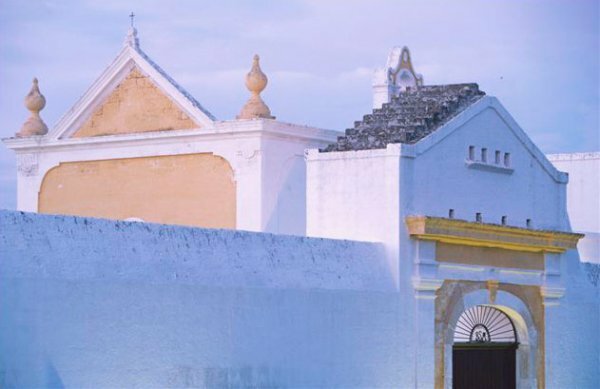 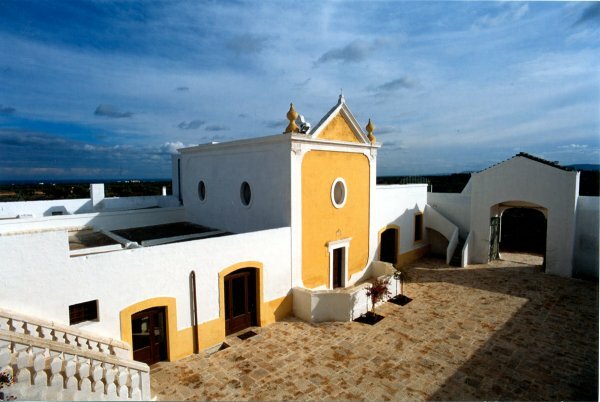 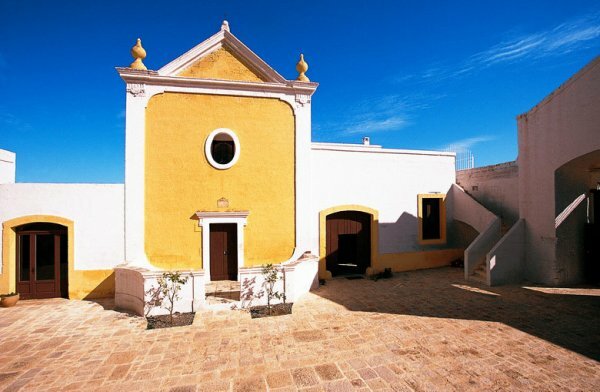 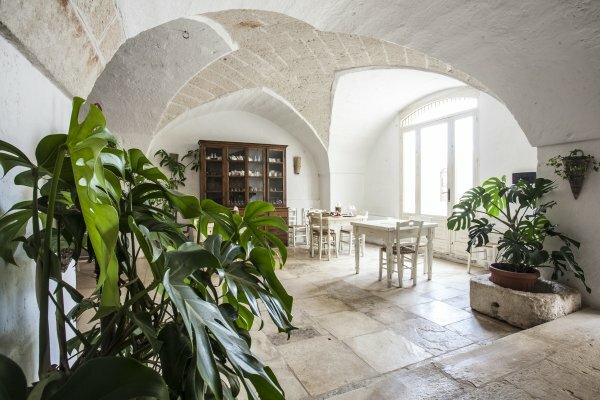 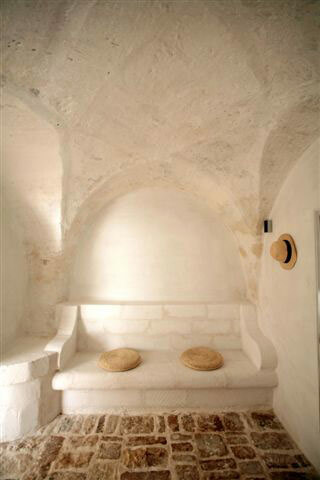 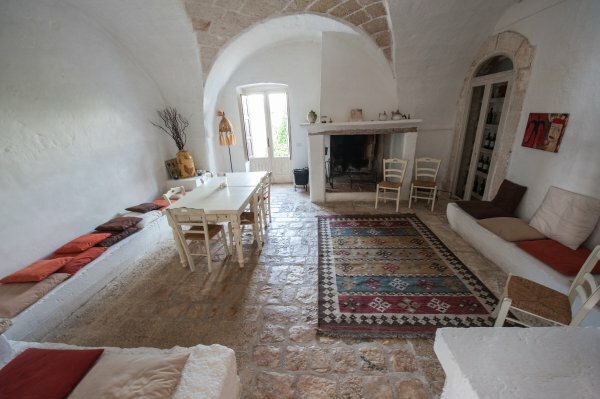 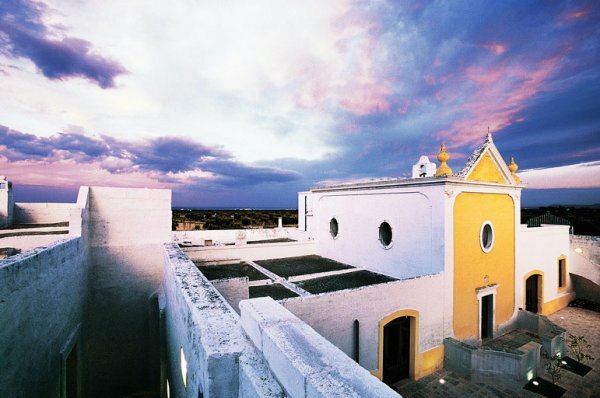 In Italy´s deep south, Puglia provides the ideal conditions for a unique experience. 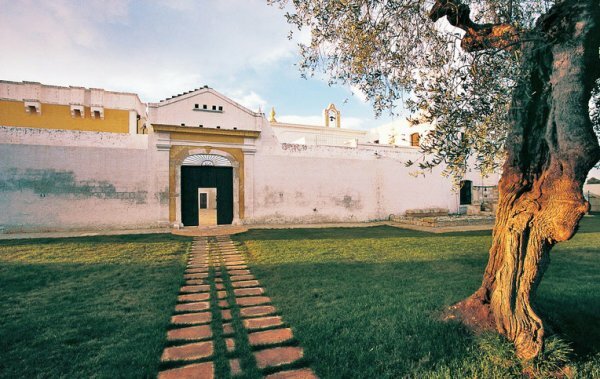 You have just to walk through a wild landscape to see Borgo San Marco´s imposing watchtower. 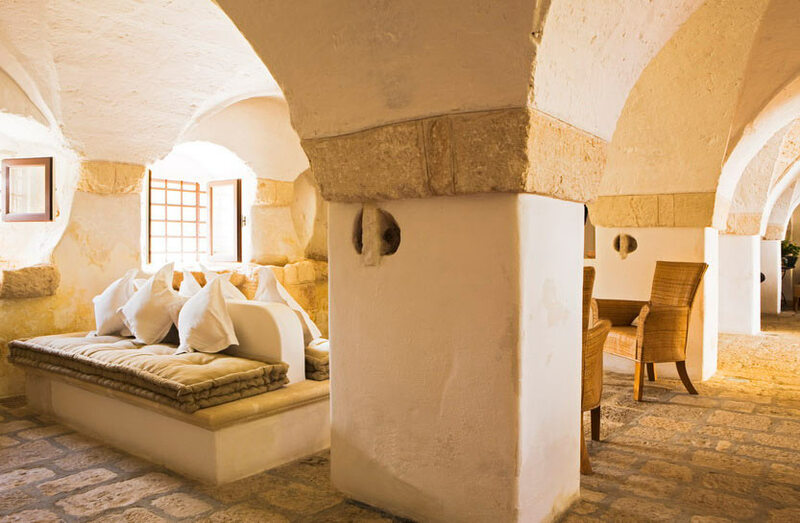 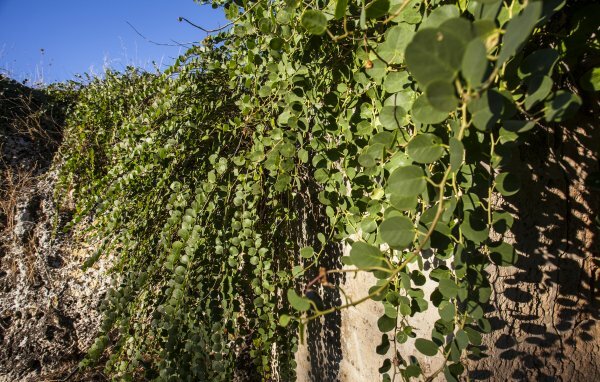 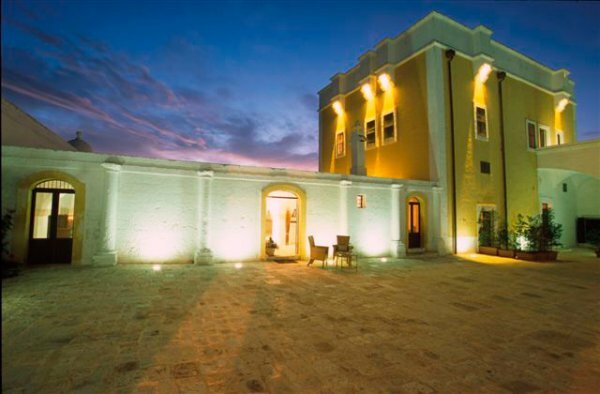 Welcome to Borgo San Marco, an inviting and elegant charming hotel placed in the huge millenary olive trees grove around Fasano and Ostuni, only two km far from the Adriatic sea and very close to the Valle d´Itria and the Salento coast. 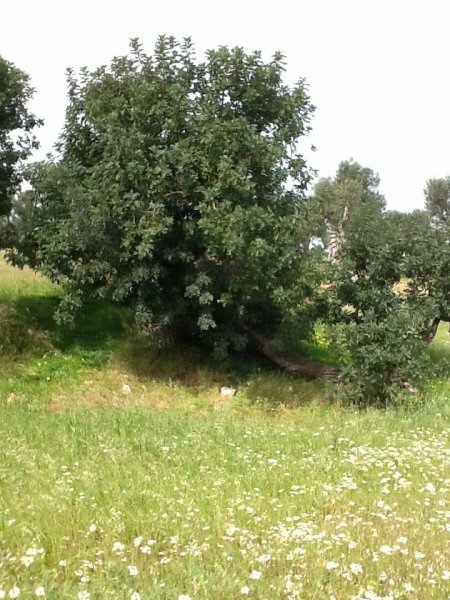 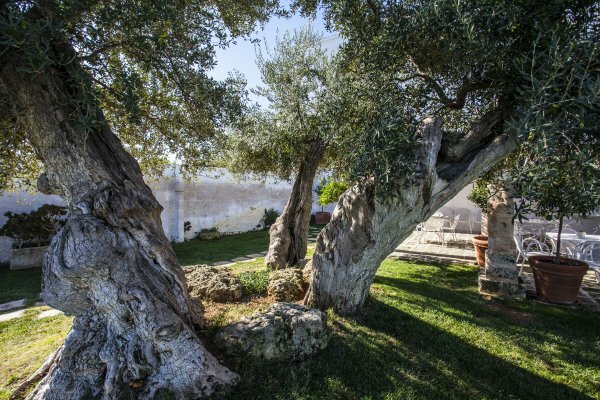 The thirteen thousands olive trees, one of the symbols of Puglia, all around the resort, are its silent sentinels, while the carobs trees are its century-old natural sculptures. 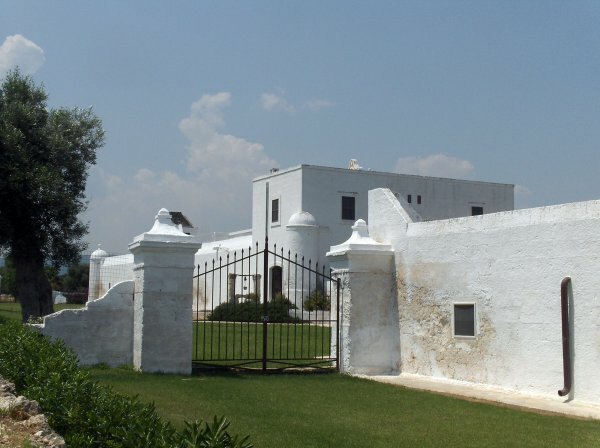 The defensive tower of this ancient fortalice (that was a monastic settlement in the twelfth century, a Knights of Malta´s garrison in the fifteenth century and only from the eighteenth century a farm) has been facing to the north-westerly wind since many centuries ago. 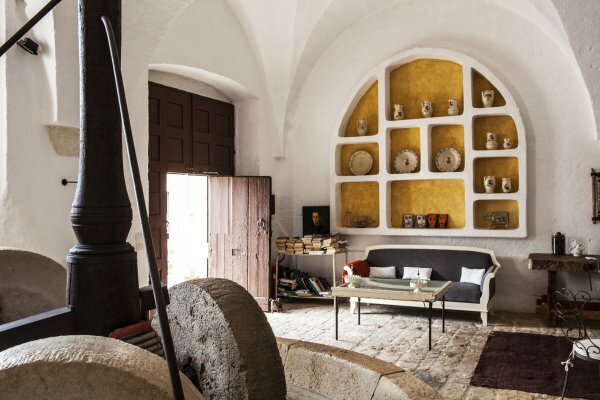 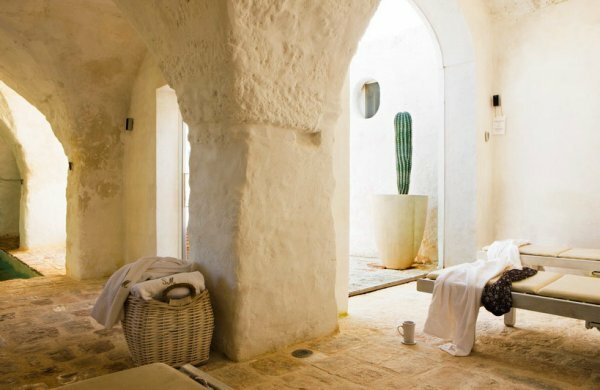 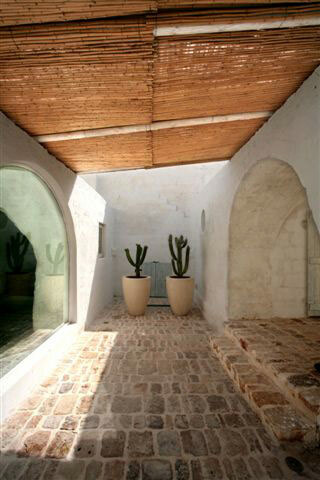 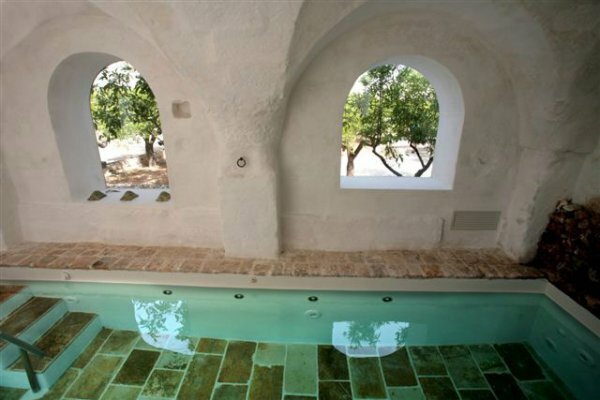 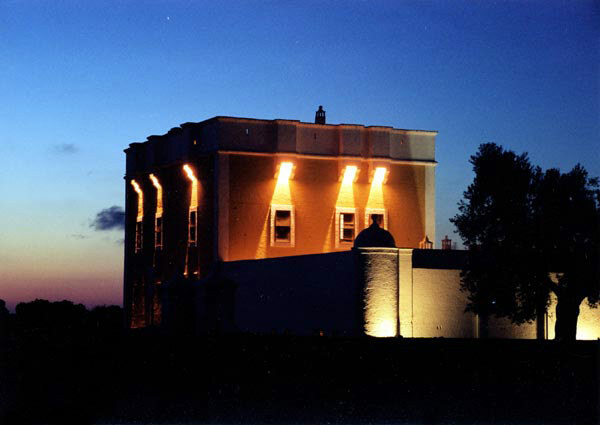 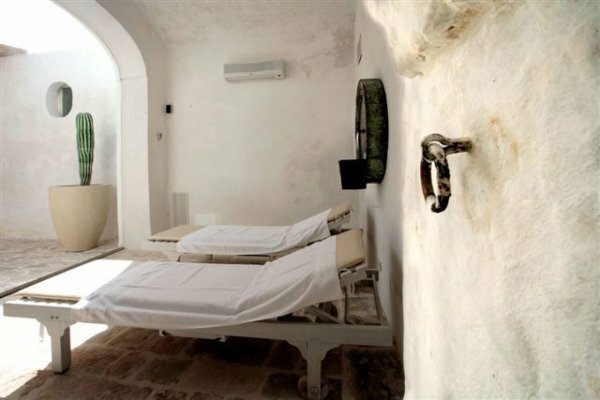 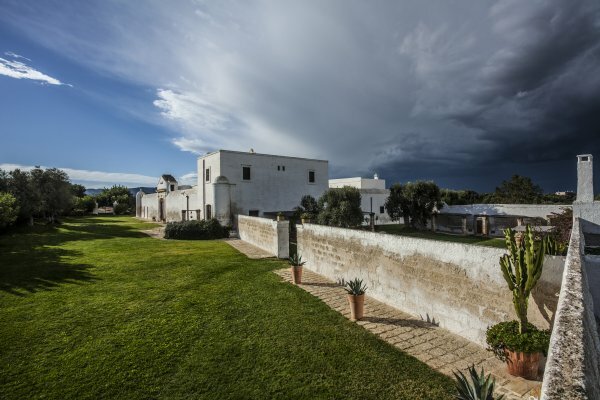 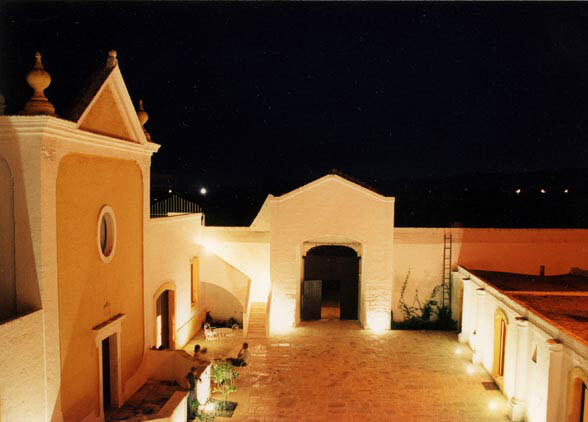 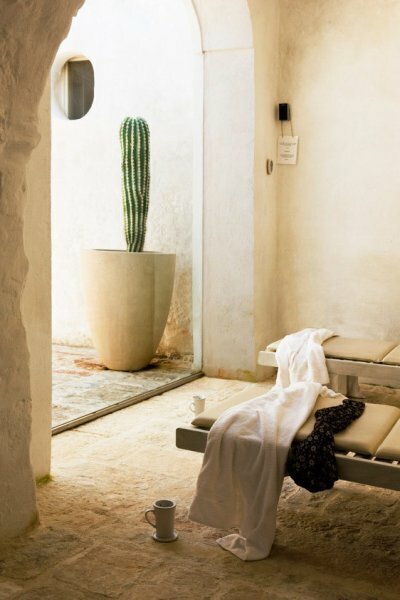 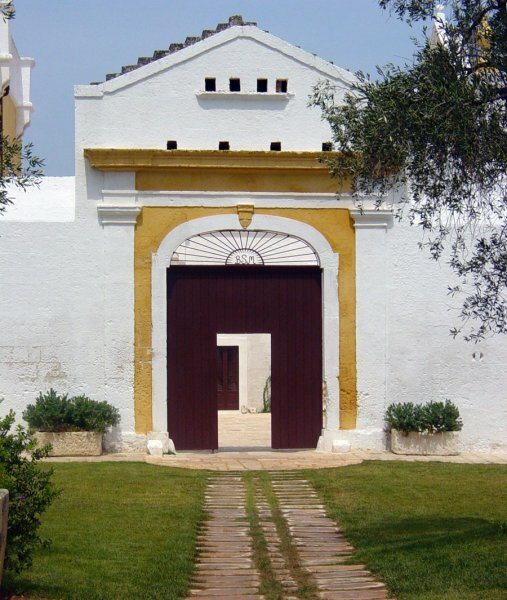 Masseria Borgo San Marco is a place that cannot be easily described: it was chosen by many personalities and celebrities as their local residence, by many writers and movie directors as their ideal set, by many others as an unforgettable place to live in (as the guests book proves). 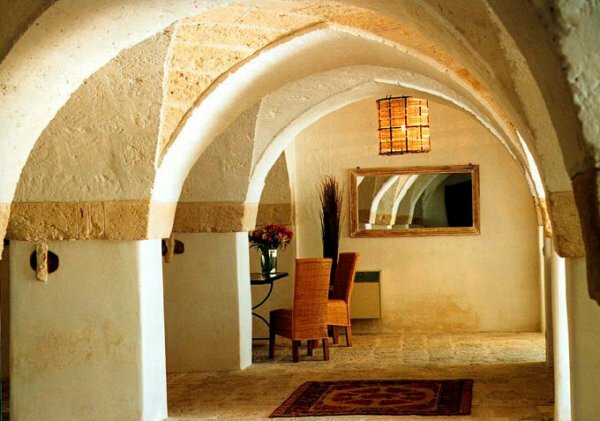 Borgo San Marco is one of the most charming resort in Puglia and the Amati´s family has chosen it for a never ending lifetime long break. 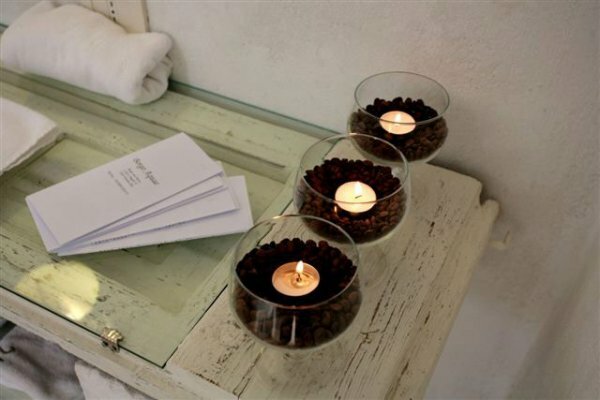 Care for Details with Any Kind of Comfort. 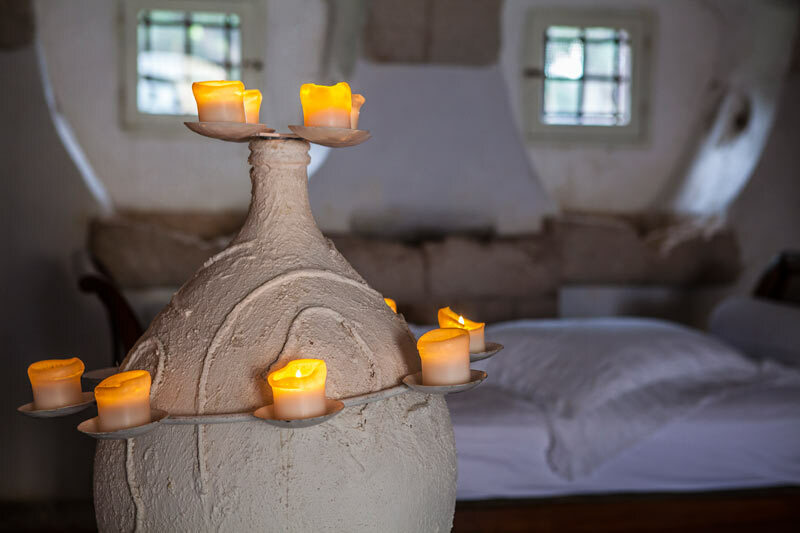 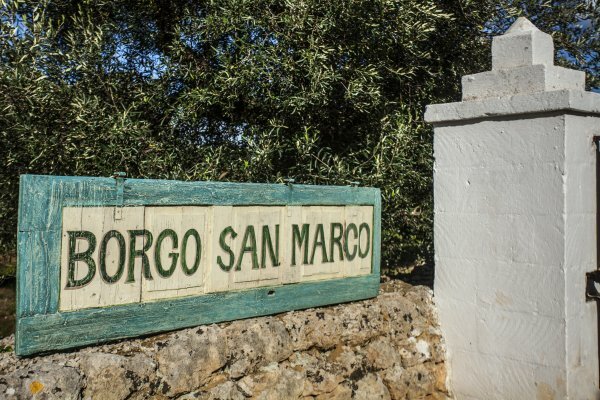 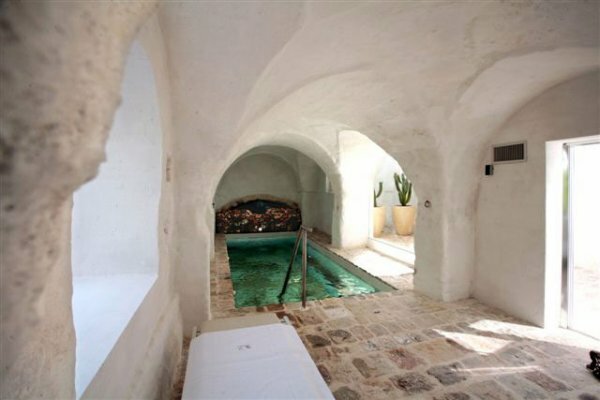 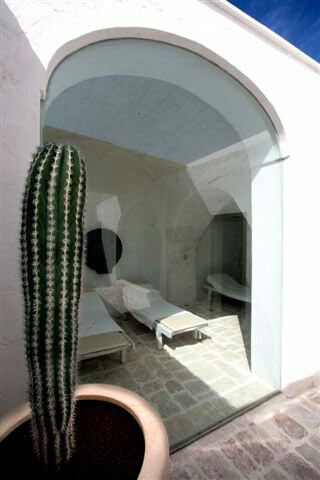 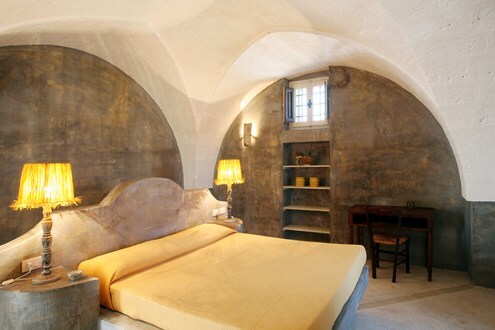 At Borgo San Marco you can experience a magic place away from the chaos. 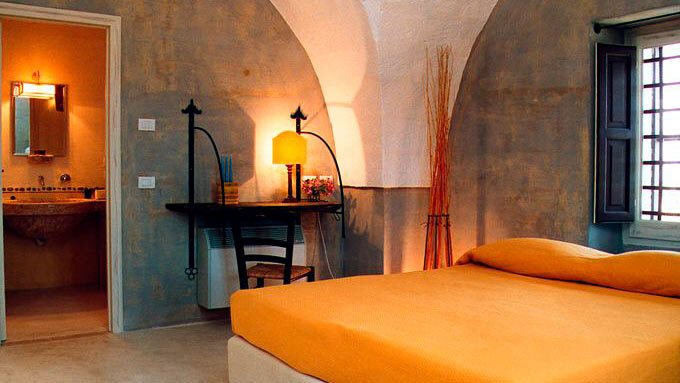 The 14 suites are large and very comfortable, every detail is accurately cared. 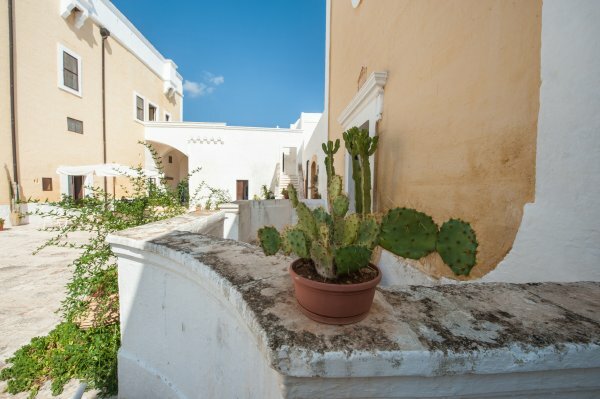 The suites are air conditioning, minibar and TV equipped; some of them have a private balcony and the 2 outside residences have also a kitchenette corner. 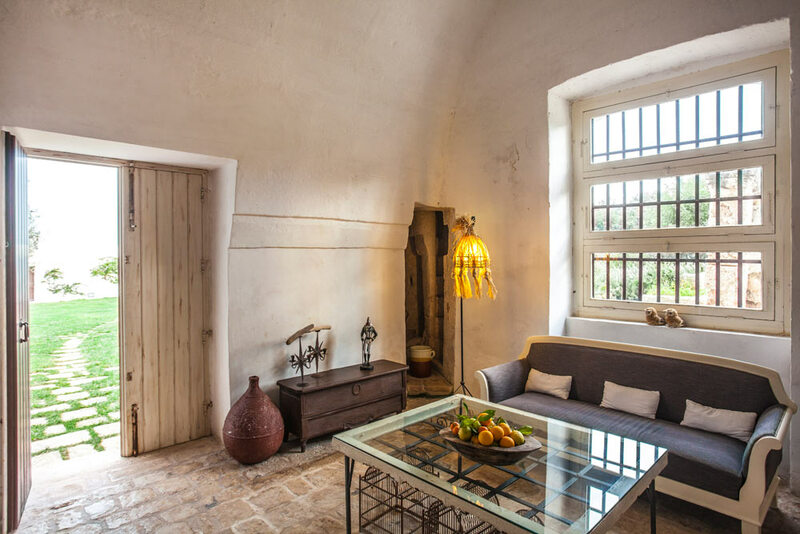 Each suite is a small architectural work of art and has got something special and charming, furniture is different and refined. 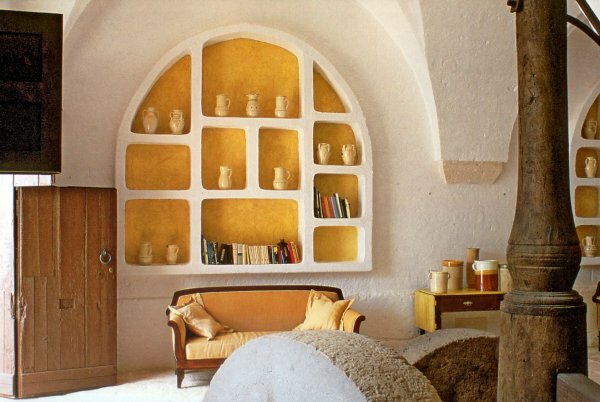 The colours of the walls give contrast to the whitewash of all the outside spaces, recalling the earth, the sun and the fire elements. 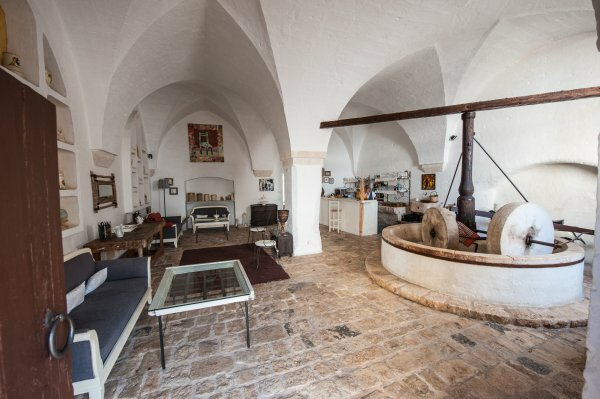 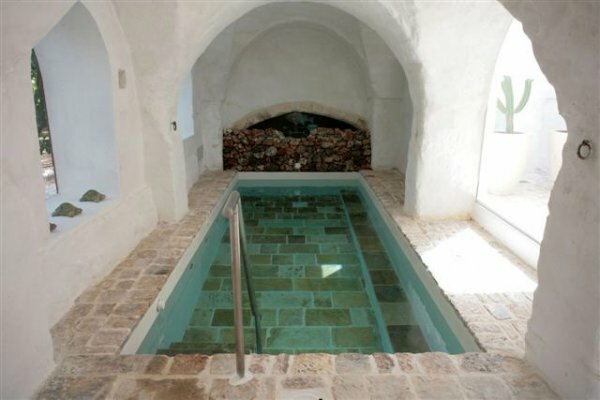 Even the names are perfect for a place like this: the Baker, the Eagle, the Fox, the Shepherd, Don Ferdinando with its private Jacuzzi. 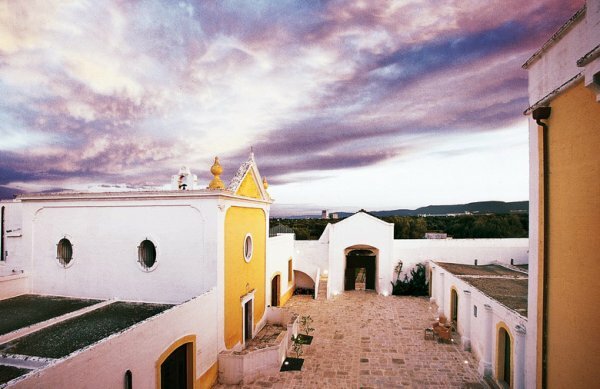 A Journey in the Heart of Taste Searching for Traditional Flavours. 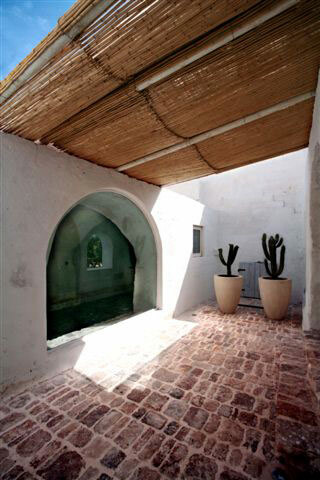 Lunch is served outside, in the rooted garden, or inside the suggestive restaurant, with a “light lunch” form. 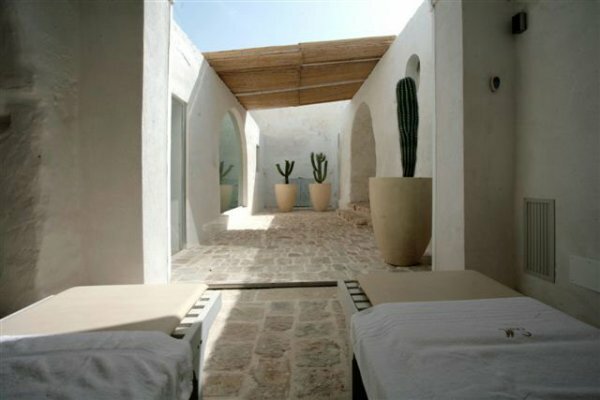 Dinner is also served in the rooted garden or inside the suggestive guests-dedicated areas of our restaurant. 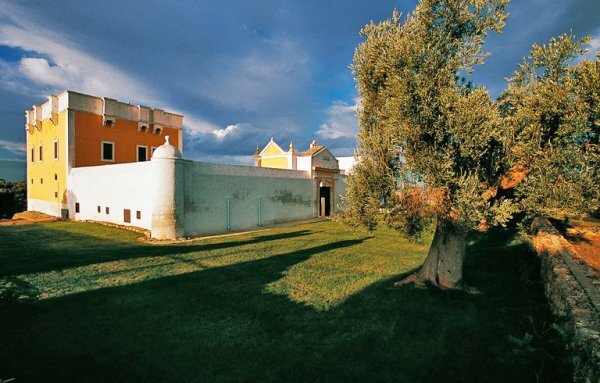 During your stay with us, you will taste many dishes coming from the best traditional cooking of Apulia, all dressed with our extra-virgin olive oil. 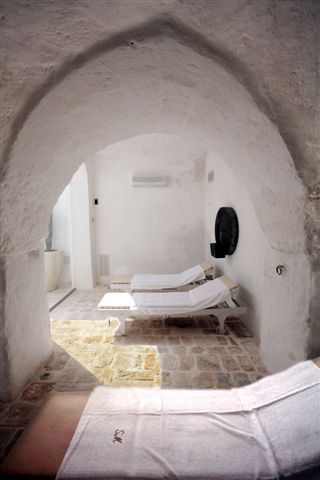 In your spare time, you can read some of books available in the reading room or you can enjoy the pool or the wellness centre Borgo Aquae, where you can be cuddled by massages and several treatments. 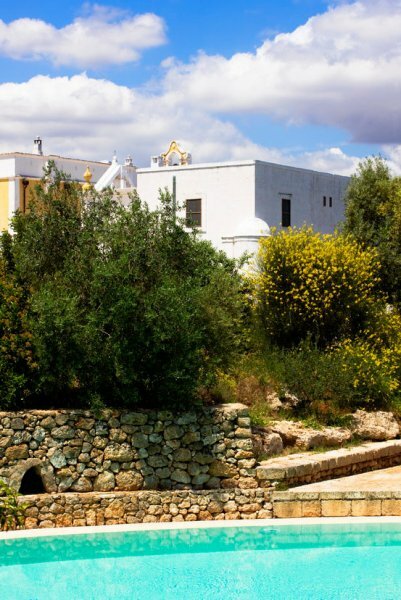 The sporting ones can walk, jog, PLAY BEACH TENNIS OR BEACH VOLLEY or exercise using our bikes all around the estate, between millenary olive trees and maquis. 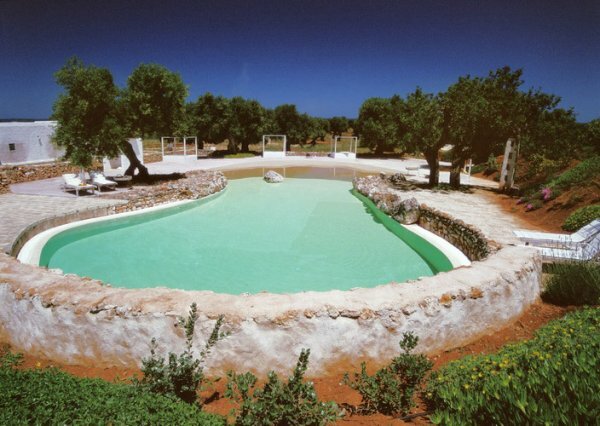 The golf lovers can enjoy the close 18 hole "San Domenico Golf" course or another lovely 9 hole course. 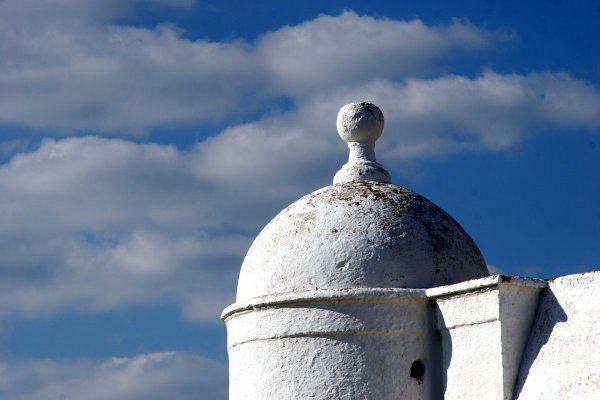 For the tourist who is willing to know all the beauties of the region, our tourist´s itineraries are the perfect jumping-off place. 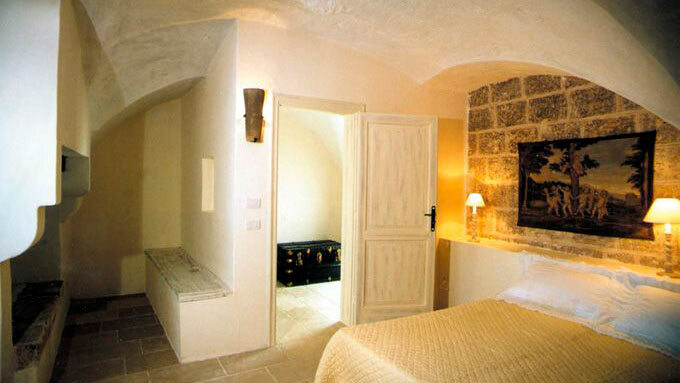 The sea lovers can reach the amazing and agreed beaches in few minutes.